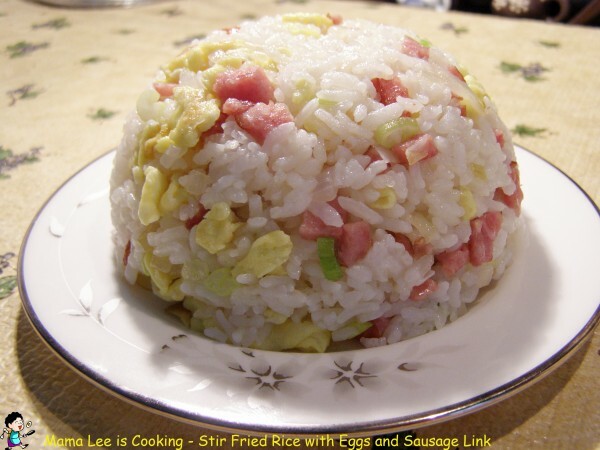 I’m not a steam rice person, so whenever I got some leftover rice, what’s in my mind is when to eat it, it’s how to re-cook it. 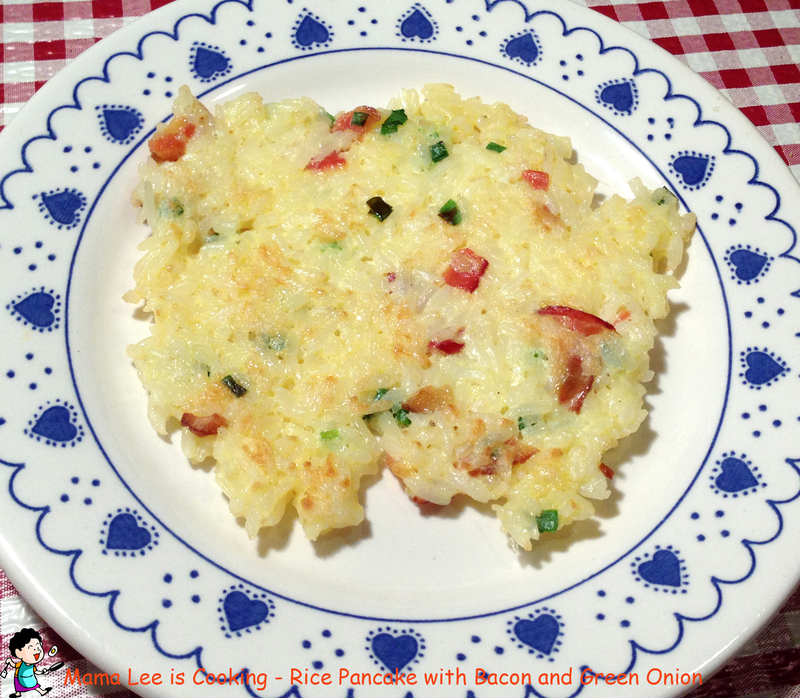 I like to add more flavor to rice so it will taste much better. 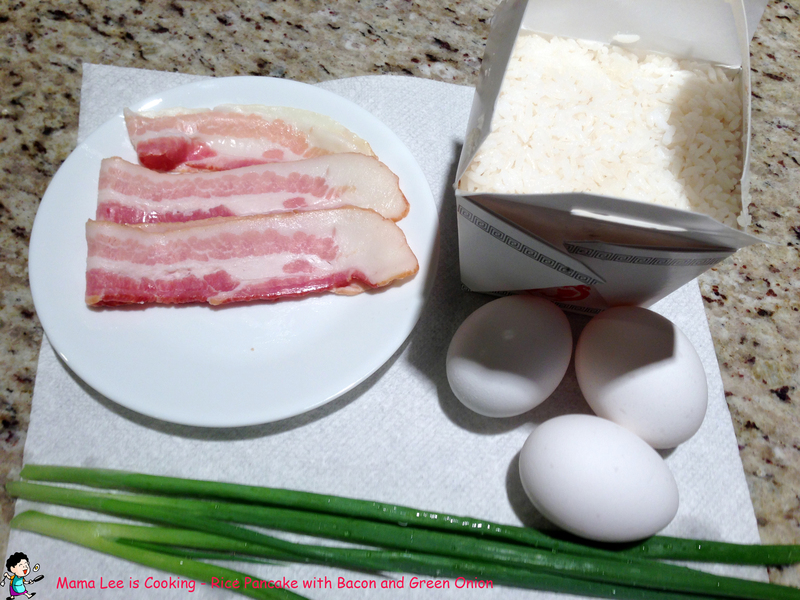 Egg, Bacon, Leftover Rice, Green Onion, seasoning. 1. 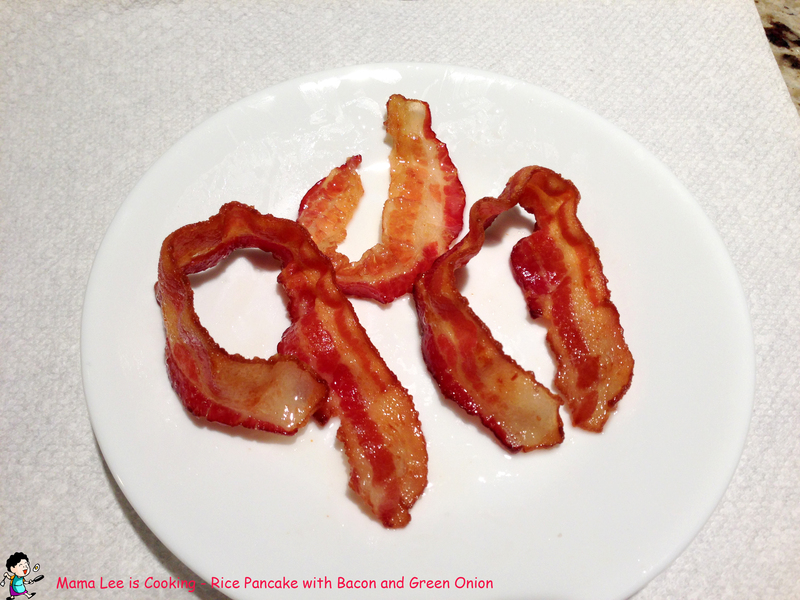 Heat up frying pan on medium heat, fry bacon until crispy, then break into little pieces. Set aside. 2. 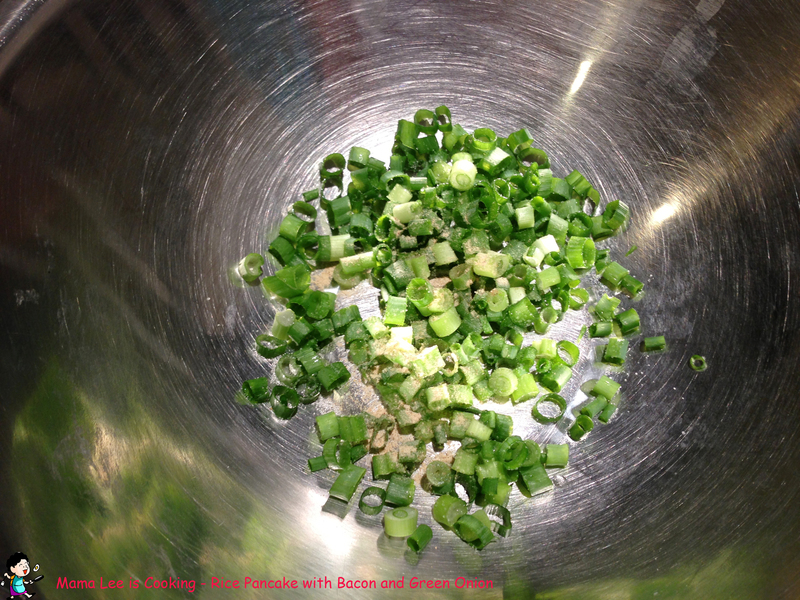 Chop green onion into little pieces, mix with some salt and any other seasoning you want to use, set aside for several minutes so the green onion will get tender. 3. 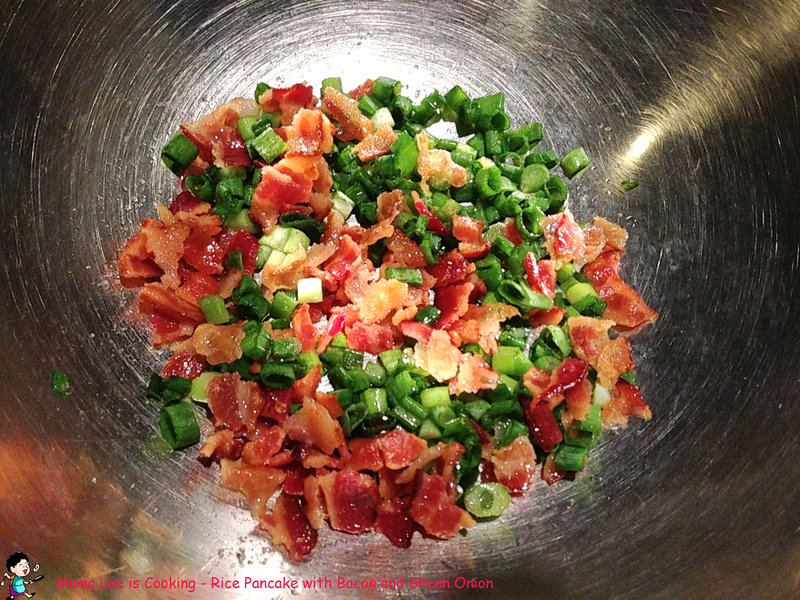 Mix bacon and green onion together. 4. Add rice to mixture, mix well. 5. Add egg to mixture, make sure it’s not too dry, just enough juice to scoop and shape. You can blend the batter some if you like it fine. 6. Heat up frying pan on medium high heat, pour some cooking oil, scoop the batter into pan and shape it flat. 7. Flip pancake it’s lightly brown. It’s ready when both side are lightly brown. 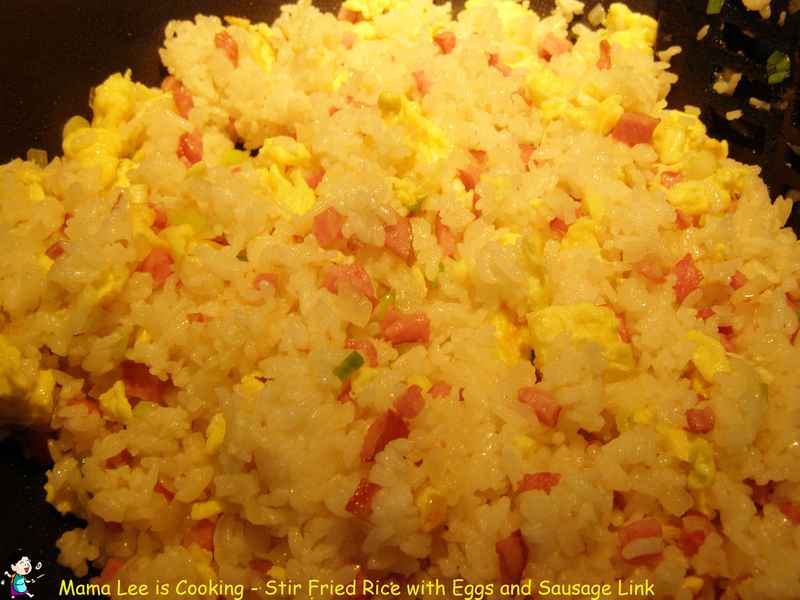 Comparing to regular steamed rice, I like stir fried rice a lot better. Because seasoning makes rice tasting a lot better. So if I have time, I stir fry my leftover rice as much as I can. 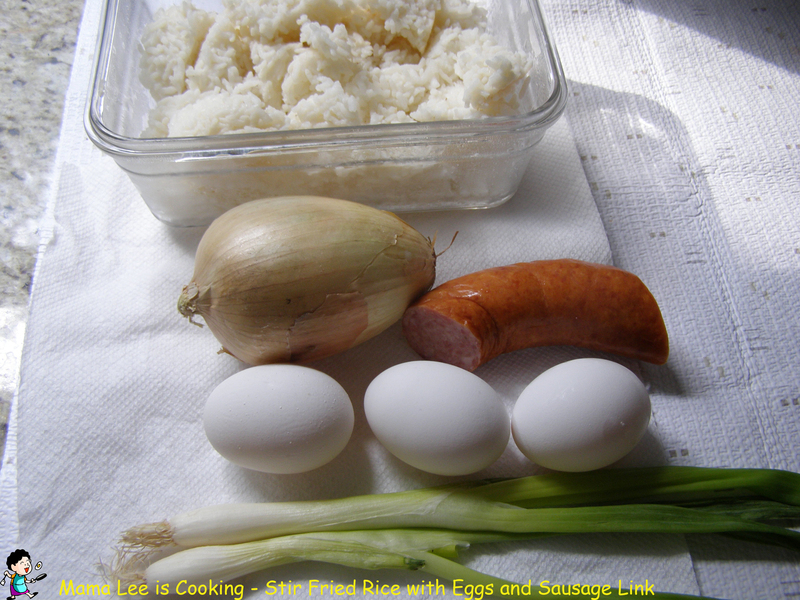 rice, half a onion, eggs, sausage link, green onion, seasoning. 1. 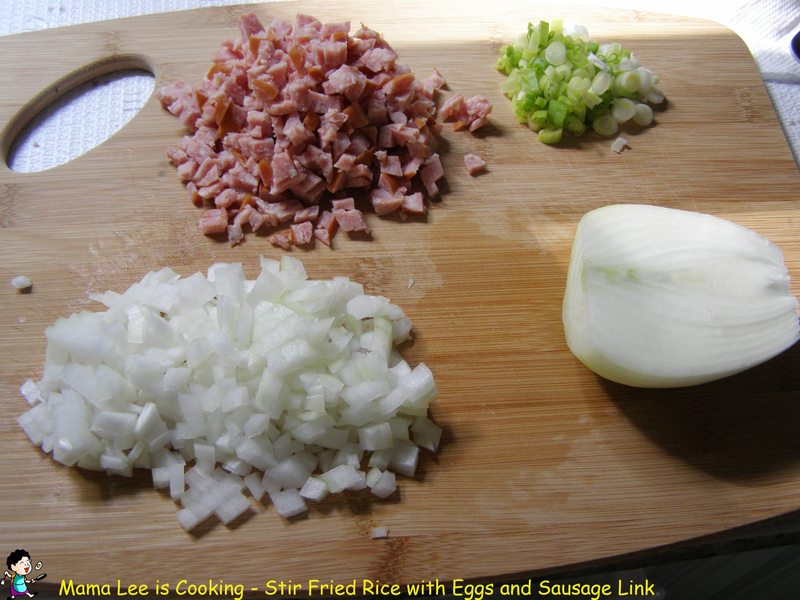 Chop onion, green onion and sausage link into little pieces. 2. 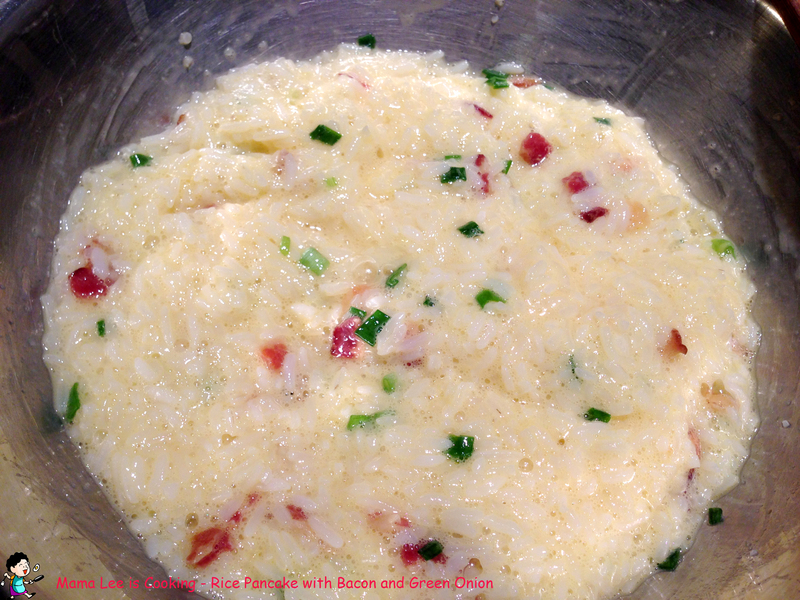 Pour a little tiny bit cooking wine in bowl, then mix with eggs, beat well. 3. Heatup skilltet, add some cooking oil, wait until the oil is really hot, pour eggs into skillet, keep stirring until eggs get firm and shape up, transfer into plate, set aside. 4. 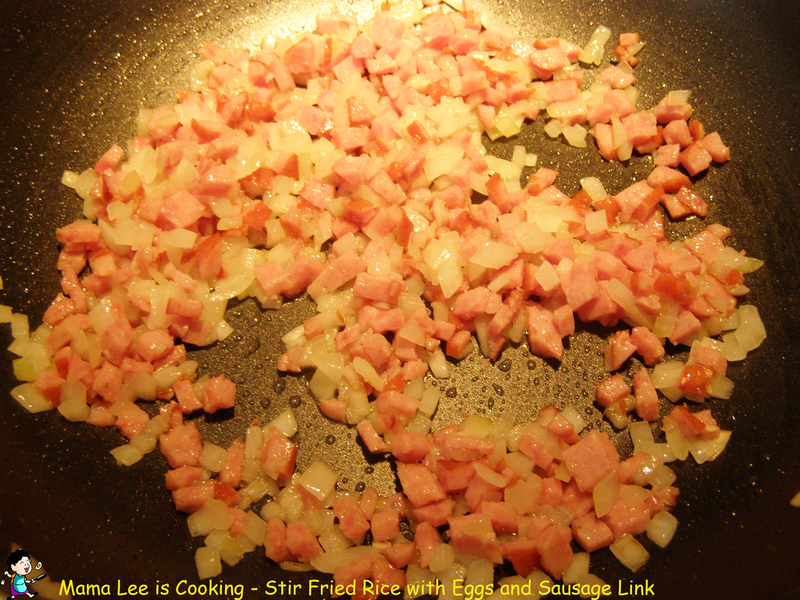 Add cooking oil into skillet again, adjust heat to medium heat, add onion into skillet, cook until onion get tender. 5. Add sausage into skillet, cook for about 2 minutes. 6. 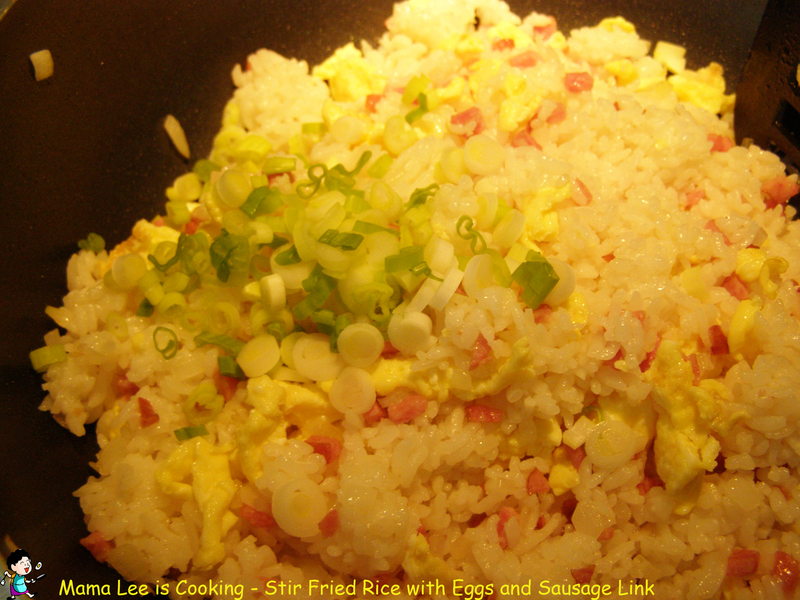 Add rice into skillet, adjust heat to medium high, stirring until rice heat up. 7. 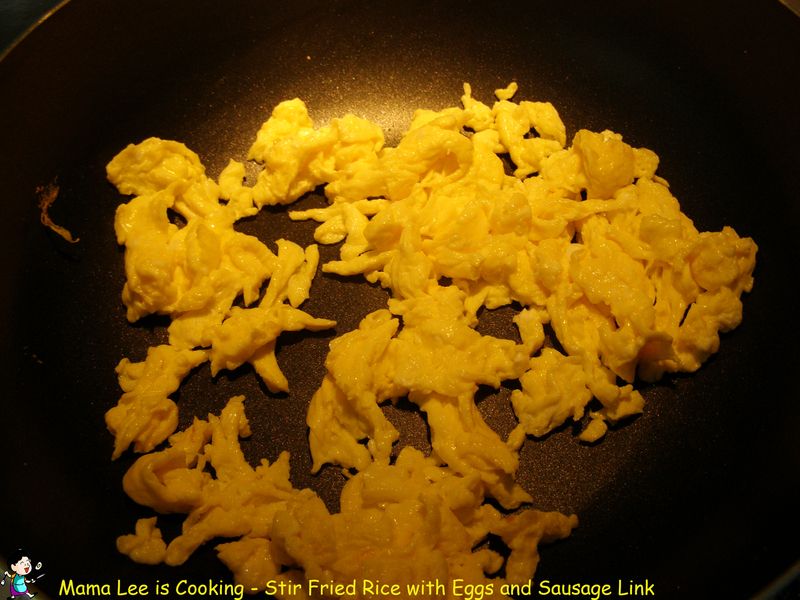 Add cooked eggs into skillet, stir well. 8. Add seasoning into skillet, stir well. For seasoning, I normally use salt, sugar and white pepper powder. 9. 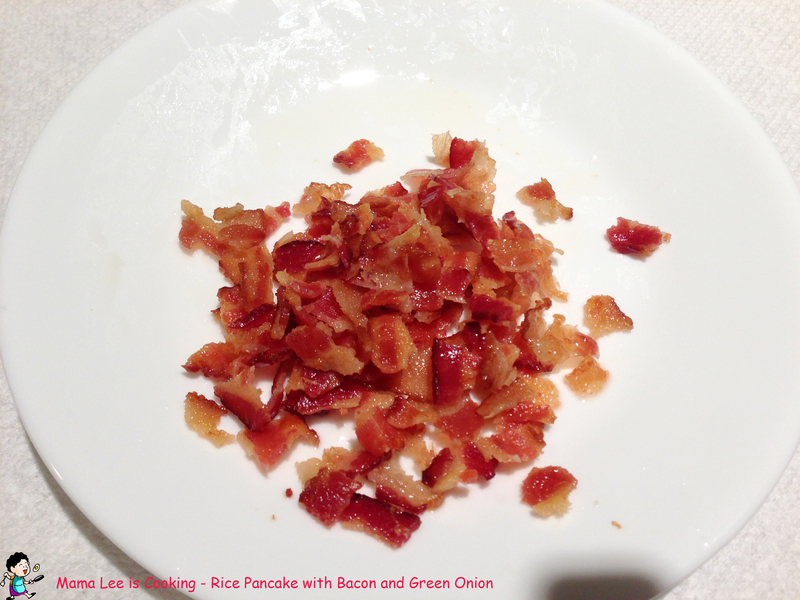 Add green onion into skillet, stir well. If you think the rice is too dry, you can add a little tiny bit of water, cover the skillet, adjust heat to low, cook for 2-3 minutes, stir several times. 10. Transfer to plate, serve hot.